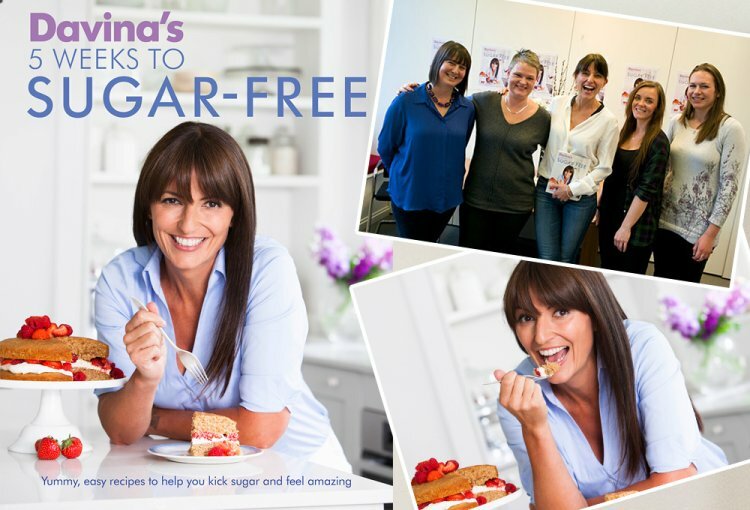 Sherri makes it 5 Weeks to Sugar-Free! I can’t quite believe that this was the final week of my challenge. So, is it all ‘back to normal’ in our house now it’s over? Well the answer is no, but YES if we take a look at our ‘new normal'..! We’ve totally changed the way we shop, we know exactly what we’re eating because we look at the ingredients in our food and we’ve saved a huge amount of money. My taste buds have totally changed, I no longer crave sweets, cake and biscuits every single day and I don’t have the urge to snack. I also have far more energy! I’ve certainly developed new habits but I think they’re really good ones. I cook tastier, fresher meals using far fewer ingredients and we’ve cut the amount of food we throw away dramatically. One of the hardest things for me was cutting sweeteners from my tea and coffee – someone told me it takes 20 cups of tea to get used to it, well I’m on about cup 100 and it’s not any better yet! It wasn’t all about the weight for me, but I did lose 10.5lbs in total – that’s just over FIVE BAGS OF SUGAR!! I also took measurements at the start and have lost 6cms from my waist and 5cms from my hips. I’m in less pain with my back and haven’t had a single flare up of IBS. I’m sure that not drinking alcohol for the duration has also been a huge benefit. I’ve discovered I have willpower of steel! My confidence has also improved and I recognise that I’m an emotional snacker and pick at rubbish because I get bored. I don’t have Davina’s hectic lifestyle (how does that woman do it?!) and my job is fairly sedentary so I’m making an effort to move a lot more during the day and focusing on doing things in the evenings to keep myself busy (even if it’s simply planning next week’s menu). I’ve loved making treats from the book but have been really good at freezing leftovers and not overindulging. The digestive biscuits really were delicious (my grandson loved helping nanny make them) and when I took them into work they disappeared fast! 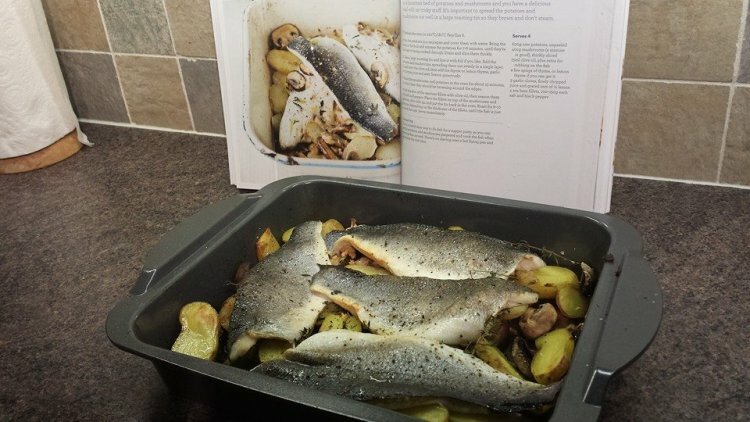 My new favourite fish is sea bass – that recipe really went down well and was another easy to prepare dish. So am I now eating sugar now my challenge is over? Absolutely not because I simply can’t justify it! Put a packet of sweets in front of me and I know they’re so addictive: if I have one, I’ll want ten. They don’t benefit me nutritionally, I don’t crave them and they cost me money, so I’d be mad to start again. A huge thank you to my fellow challengers, Lucy, Hannah, Carly and Steve for their amazing support – I absolutely couldn’t have done it without you guys. I’m looking forward to continuing my journey to a healthier lifestyle.